There are many nutritionists and physicians who advise certain categories of people to stop consuming gluten. However, giving up gluten is not an easy task because there are many people who can’t imagine their day without eating bread. 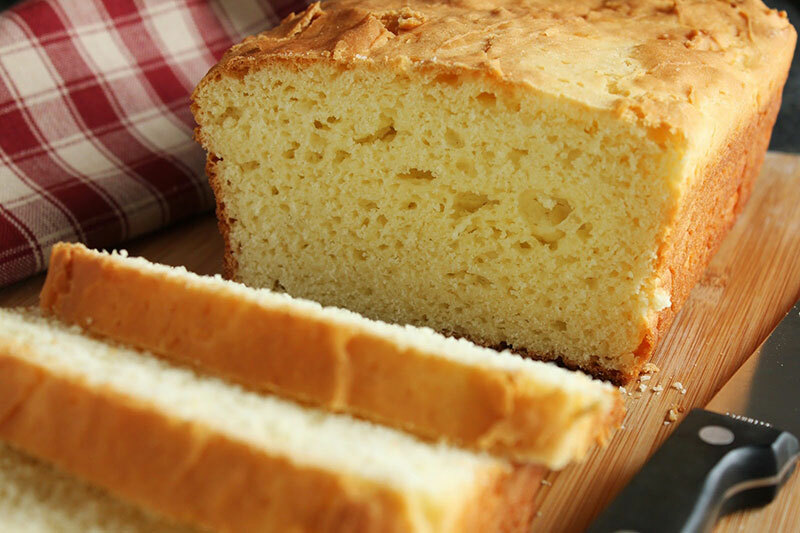 So we advice you to consume this tasty gluten-free bread recipe. Without any doubts, bread is tasty and the vast majority of people used it during their childhood which means that it evokes great memories too. However, bread is toxic too. Gluten can lead to brain fog, gut inflammation, autoimmune disease and weight gain in many individuals. On top of that, wheat is prone to pollution with mycotoxin and mold growth which means even more health issues including hormonal imbalance and even cancer. So, it is no surprise why the number of people who are eliminating gluten from their daily diet is growing rapidly these days. The increased popularity of gluten-free diet has led to the production of low carbohydrate, gluten-free bread. However, it is good to point out that in many cases; these breads are not different than regular breads. Gluten-free bread have high glycemic index and come with ingredients that originate from soy, potatoes or corn. They are not completely safe. So, is there a way to enjoy bread and preserve your health? The answer is YES. The so-called low carb, keto, gluten-free bread has these characteristics. This bread contains only protein and fat and those who consume it will enter a ketogenic state of high production of energy and fast burning of fat (this is what ketosis is all about). For many people, this is the ideal alternative to regular bread – it tastes similar and has the same texture. You can use it with a butter spread on it or you can put a burger on it. This solid and chewy gluten-free bread recipe can be used in almost every recipe. In addition, it contains only three simple ingredients! If you want to learn how to prepare this delicious gluten-free bread recipe, watch the video at the bottom of this article created by Veronica Culver, Bulletproof Ambassador. Grass-fed butter for greasing the pan. First of all, preheat the oven (325 degrees). Put the mixture on the middle rack and get rid of the rest of the racks because the bread will grow. Don’t hesitate to butter the dish with slightly larger amount of grass-fed butter. It is the best idea to put the mixture in a ceramic pan. In this way you will get evenly baked bread and you won’t risk getting some of the toxins found in regular cookware. Take the eggs and beat them till you get stiff peaks. Feel free to use a hand mixer. Make sure that the peaks are extremely stiff. In case you don’t follow this advice, the will fall down when you pour the egg yolks and whey and you will get a concoction that looks something like Styrofoam. Pour half a cup of Bulletproof whey protein and the yolks from six eggs. Blend the mixture slowly until the ingredients are fully mixed. You’ll get a fluffy batter. Put the batter into the buttered dish and put it in oven. Bake for about 40 minutes. After that, remove the bread and wait until it is cooled. At this point the loaf will get its regular height. When the bread is cooled, remove it from the dish, slice as much as you want and enjoy! You can store the leftovers in the refrigerator for a few days. If you are planning to reheat them, heat a skillet to medium and add some grass-fed butter (you can use ghee instead), burn bread slices in skill in order to get toast like slices. Heat them for half a minute on each side. Don’t overheat them. Remember that cholesterol that is oxidized thanks to the cooked egg yolks can lead to small inflammation, so this bread should not be consumed on a daily basis. It would be best to eat it twice a week. We know that it would be difficult to follow this advice because this gluten-free bread recipe is very tasty.